Jigsaw - Available as a download or stream? 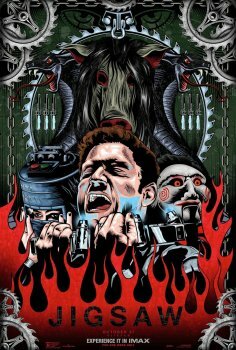 The long awaited eighth installment in the horror/mystery franchise 'Saw' is finally going to be released this year. "Jigsaw" is set to hit theatres on October 20th, 2017, once again through Lionsgate and Twisted Pictures. The film is being directed by brothers Peter and Michael Spierig. Charlie Clouser will be returning to score this film as well, Clouser has scored every intallment of the franchise. It will be the first film released in the franchise in over seven years.